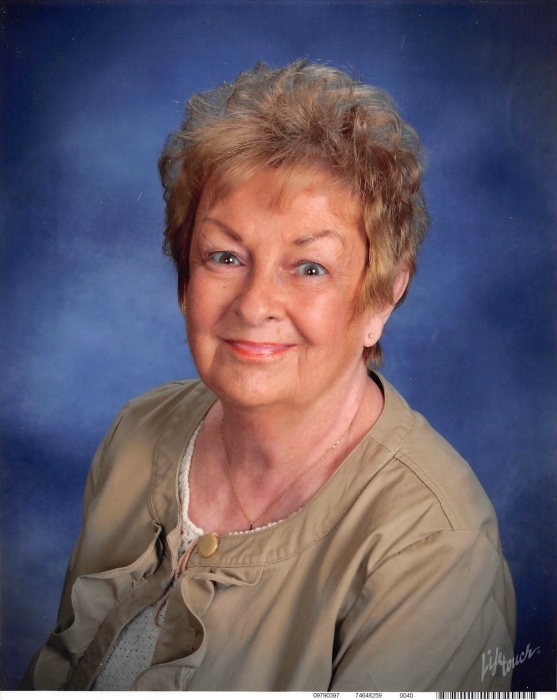 Betty Jean Herrington, 84 of Charlestown, IN passed away on Sunday March 17, 2019 at Baptist Health Floyd in New Albany, IN. Betty was born on November 22, 1934 in Bowling Green, KY to Carter and Eunice Jones Whalin. She was a member of the North Charlestown Church of God and a homemaker. She was preceded in death by her daughter Gail Mosher and husband James Herrington. Survivors include her daughter, Michelle Eldridge (Dennis) of Charlestown, IN; son, Mike Mosher (Jane) of Waterford, MI; grandchildren, Kaitlyn Eldridge, Megan Jones Wolfe, Myles Mosher and Marla Abney; great grandchildren, Riley and Mason Abney and her dog, Rosie. Life Celebration services will be held at 10 am on Friday March 22, 2019 at Grayson Funeral Home in Charlestown with burial in Charlestown Cemetery. Visitation will be from 4 pm to 8 pm on Thursday and after 9 am on Friday.